Prague is a city with many myths and innumerable legends but it is also a place with a strong historical cultural ferment. 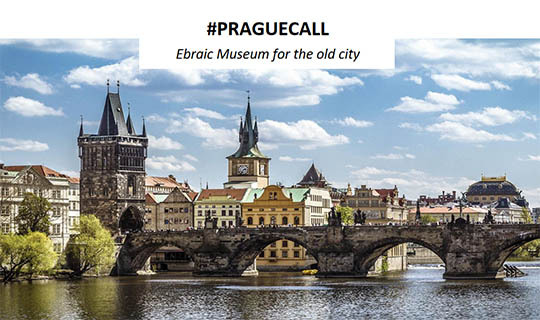 In Mala Strana district, where the first Jewish persecutions started during the XIV century, we want to imagine the new Ebraic Museum of Prague, a place of memory that becomes a contemporary symbol of rebirth. Exhibitions, events, debates, will make this pole for culture an element of important renewal. An architecture that will trasformer the ghetto in a new social integration area. There is no limit for the competition. I allowed to contest all those who want to deal with the theme proposed, whatever their country of origin. There are no age limits, can enroll graduate students, graduates or professionals. You can participate as an individual or as a group (max 5 components). In the second case it is necessary to elect a leader to have a contact person to which official communications. 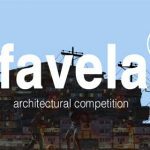 Each participant may submit only one project and not be part of more than one grouping. All competitors have the samerights and must fulfill the same obligations. Groups can be mixed or use more professional, they may be made simultaneously by graduate and undergraduate students. SPECIAL ENTRY: from 01st of May – 03rd of June the fee entry is of 15,00 euro for who will use PayPal, 20,00 euro for who will use bank transfer. 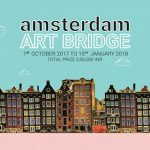 ORDINARY ENTRY: from 04th of June – 11th of July the fee entry is of 20,00 euro for who will use PayPal, 25,00 euro for who will use bank transfer. EXTRAORDINARY ENTRY: from 12th of July – 03th of August the fee is of 25,00 euro for who will use PayPal, 30,00 euro for who will use bank transfer. The quote are for each participant. The winners will be announced on the website of the Association no later than the date of 31th of August 2018.